Groundfloor rooms in a wildlife cottage garden. Peace and quiet, meeting all but one - view of the sea! - of the criteria for a truly rural situation. Breakfast is made of local products and includes as much as possible from our own garden - fruit, eggs, jam and honey, home-made bread and cake in the bedrooms. There is a hide for watching badgers and plenty of places to relax by the brook running past the cottage. We have free-range poultry with Indian Runner Ducks which keep the slug population down in our wildlife garden. 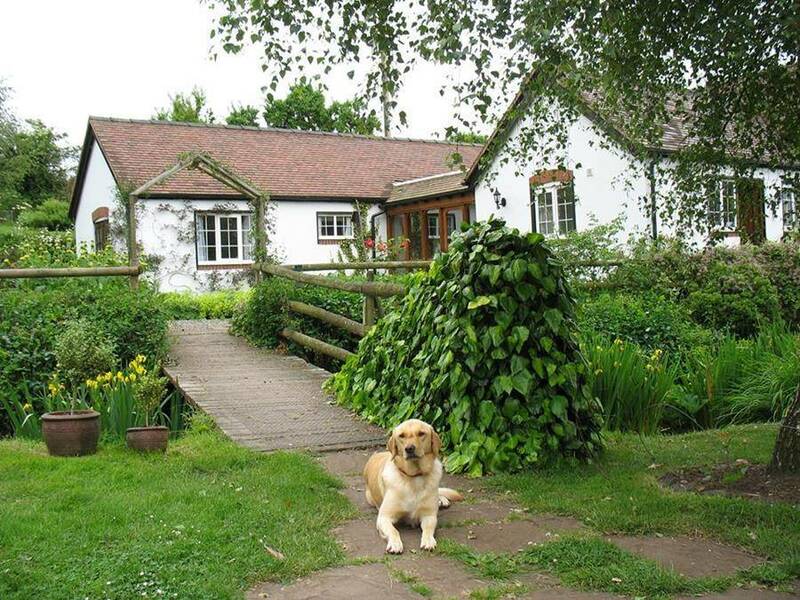 Our two Labradors and three cats will be delighted to meet you. 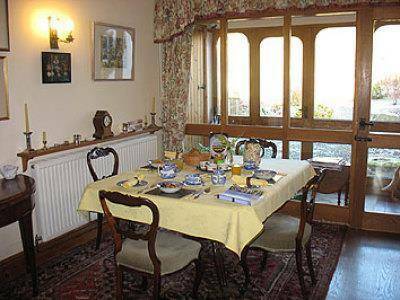 Our accommodation suits one party of up to four people in two double rooms. Single use of the second bedroom costs no more than half the double rate but single people can usually only be accommodated out of season. 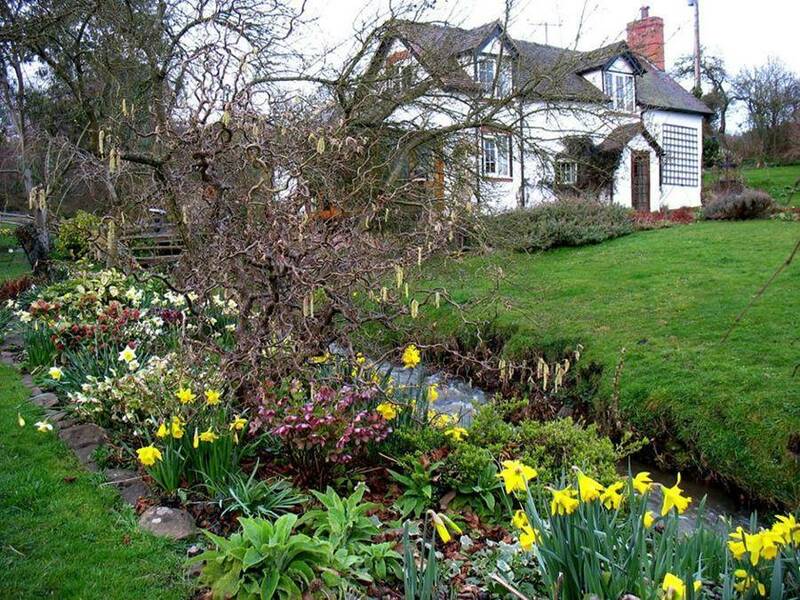 Now rated by Shropshire Tourism who've continued our EnjoyEngland listing from 2009, when we were also awarded a Good Breakfast Award. 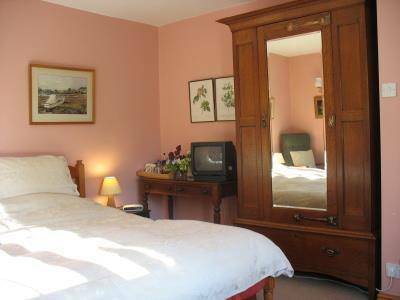 Our main bedroom has either a superking double bed or twin beds and the bathroom is adjacent with bath, over-bath power shower and warm towel rail. Most of the time we have only one couple staying but the non-smoking guest accommodation is a private ground floor wing and there is an additional double bedroom so as to accommodate one family party of up to four people. The accommodation is very flexible allowing for many combinations, for example: one superking double, one twin, two single bedrooms, one twin and one double or two double. The main bedroom, facing West, has French windows to the garden and either twin beds or a linked superking double. The second bedroom has a double bed and the morning sun. Both rooms have easy chairs, remote controlled colour TVs with Freeview, tea & coffee trays and radio alarm clocks. For your comfort there is double glazing, central heating, extra electric heating in the bedrooms, a guest fridge - for fresh milk for your tea tray, your picnics or shopping - WiFi, books & games, a hairdryer and hot-water-bottles for sufferers with chilly feet!